The Nordic country, home to just 5.5 million people, scooped top spot in the UN’s World Happiness Report — which ranks countries by how content their citizens perceive themselves to be — in both 2019 and 2018. Furthermore, it has consistently ranked in the top 10 — since the first report in 2012. 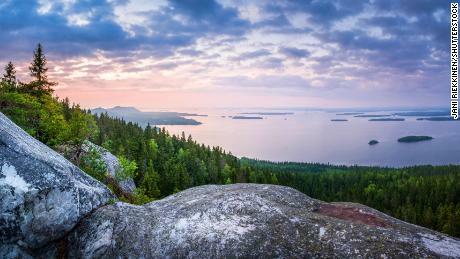 Despite severe and prolonged winters, Finns’ positive outlook is boosted by low levels of crime, access to nature, affordable childcare, heavily subsidized healthcare and, crucially, free education. John Helliwell, editor of the World Happiness Report, told CNN that Finnish children posting the highest scores in the OECD’s PISA education rankings first attracted international attention to the country’s school system. “The same thing is now happening for happiness, with respect to life as a whole,” he said. 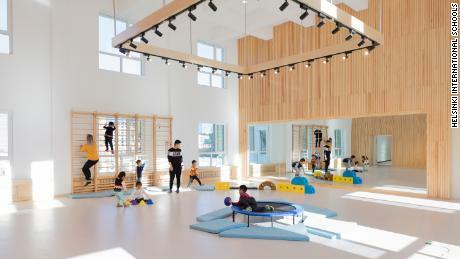 “We soon realized that if we could make this model work in Inner Mongolia, it would probably work anywhere,” Milla Kokko, HEI Schools CEO and co-founder, told CNN. Kokko said: “Clearly Finland has something valuable to offer people around the world.” The idea is to collaborate with overseas educationalists rather than export Finnish educators, she added. “We started by building this very holistic package that people outside of Finland can operate. If the model was based on finding Finnish teachers to run it, we would eventually run out,” the CEO laughed. Hofmann said that “we do not know whether things that work in one cultural and policy setting will work the same way in another” but pointed out that HEI Schools is instead trying to allow for its model to develop in a “co-constructive” way through its implementation by teachers in different countries. Palmer strongly believes the later starting age is key to Finland’s success and would like to see more countries follow suit. Two thirds of countries start school at six, 12% at 4-5 and just over a fifth — 22% — at seven, she said. “Nobody in Finland expects children to be reading and writing formally until they are seven which means they get four years of play and early years pedagogy.